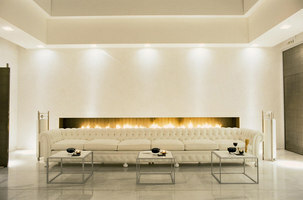 The company’s core competence is its expertise in the manufacturing of ceramics. 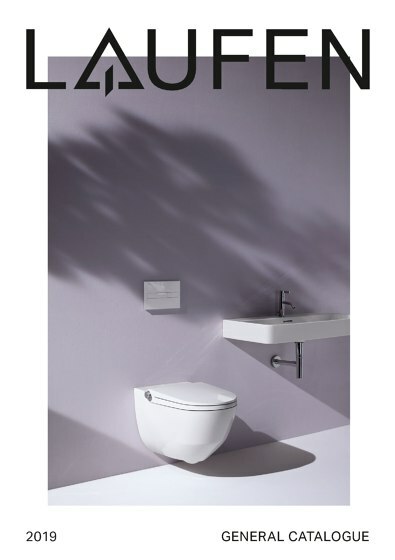 The LAUFEN brand has been producing groundbreaking bathroom products from the oldest artificial material known to mankind for 120 years now – in state-of-the-art plants and with legendary Swiss precision. 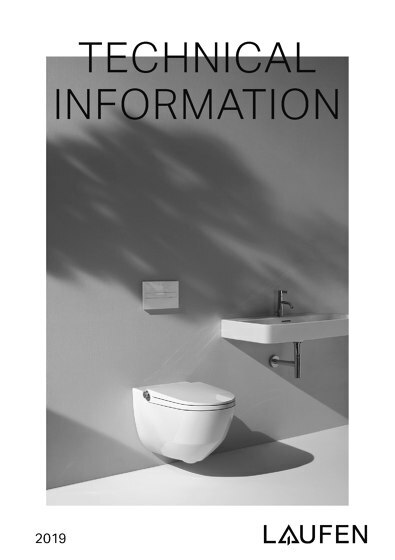 Born of this ceramics expertise, know-how spanning all aspects of the bathroom has been developed and fashioned by LAUFEN to high design standards. 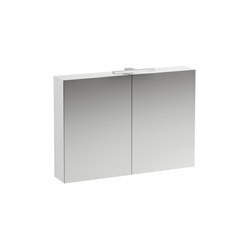 What sets LAUFEN products apart at first sight is the Swiss design as the fusion of two key design currents: emotional Italian design from the South, paired with the precision and clarity of the design tradition from the North. 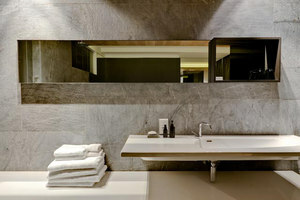 For LAUFEN there are two aspects to quality: on the one hand production know-how and on the other product benefits conveyed by the finished bathroom to the customer – often only at second glance. As a Swiss company manufacturing products destined to carefully handle that precious resource, water, LAUFEN feels duty-bound to protect this natural life-giver. 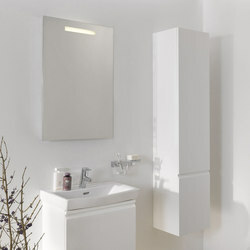 LAUFEN therefore advocates environmentally friendly production. 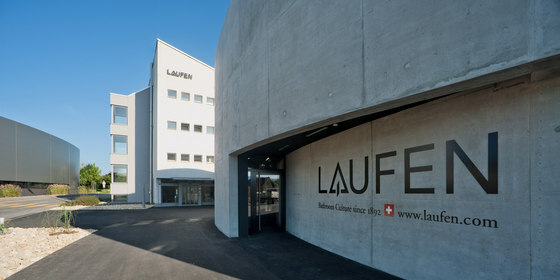 LAUFEN’s expertise can be experienced first hand in the new award-winning LAUFEN Forum at the company’s headquarters in Laufen/Switzerland or in one of the many international references. The firm was founded as Tonwarenfabrik Laufen (Laufen Earthenware Factory) a Swiss stock company (Aktiengesellschaft), on 4 July 1892, in the Swiss town of Laufen that the company owes its name to. 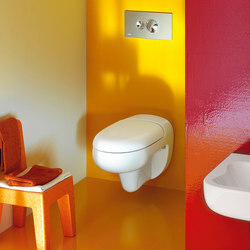 As the very first Swiss company, Laufen AG has produced ceramics for the Swiss market since 1925. 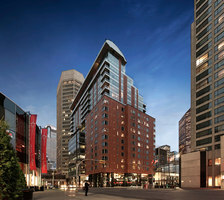 In 2012 it will celebrate its 120-year anniversary. 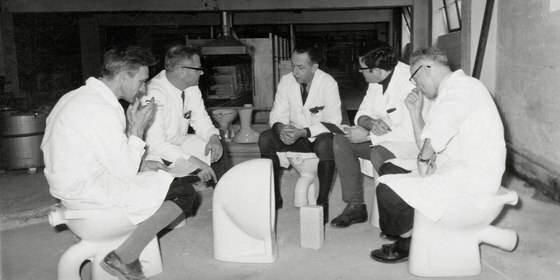 In 1952, Laufen laid the foundation for a worldwide expansion with the acquisition of a tile factory in Brazil. 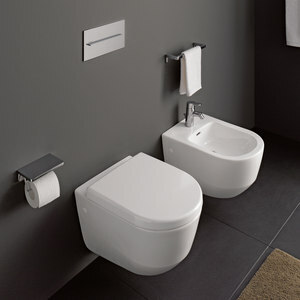 In 1967, two long-established Austrian production plants Wilhelmsburg and Gmunden joined the Laufen Group. 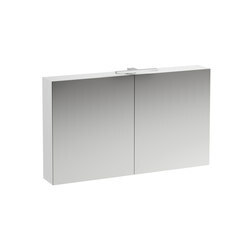 In the 1990s, Laufen expanded with two further production plants in Bechyně and Znojmo in the Czech Republic. 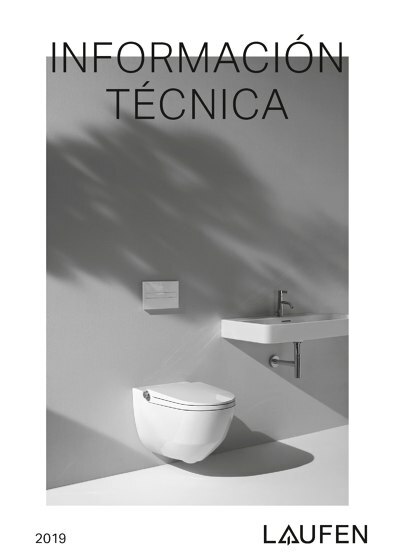 After the merger with Roca Sanitario in 1999, the company became part of the Roca Group, the world’s largest bathroom ceramics producer. With the construction of a new logistics centre and high bay warehouse at the headquarters in Laufen, as well as the installation of modern production systems in various European factories, Laufen has positioned itself for further growth since 2006. 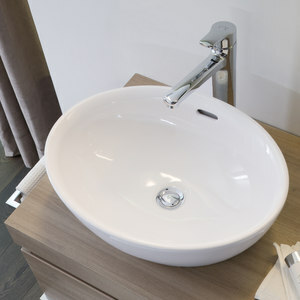 In 2007, the Swiss SimilorGroup, one of the oldest faucets manufacturers in the world, joined the Roca Group. 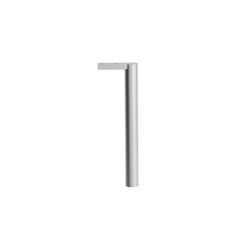 The dynamic alliance of the two Swiss subsidiaries is already evident in numerous complete bathroom concepts, which also include the faucets. 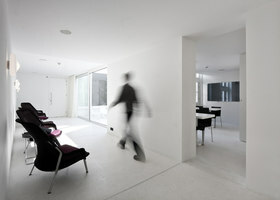 In 2009 Laufen opened a showroom and visitor centre called the Laufen Forum. 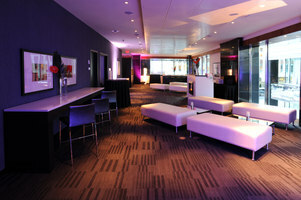 The building’s purpose is to serve as an architectural statement of the brand and as an event platform. 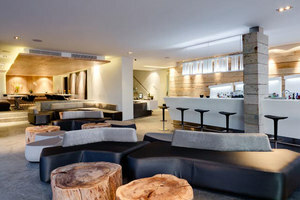 The innovative and sustainable building made of exposed concrete has won the Green Good Design Award 2012, the Award for Marketing + Architecture 2010 and the Best Architects Award 2011. 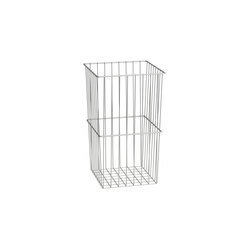 In 1985 with the development and introduction of high pressure casting, Laufen revolutionized the production technique for sanitary ceramics and laid the foundation for high production capacities and for industrial production of high quality designer bathrooms. The casting process stands apart due to the high quality of the surfaces and ease of finishing. High pressure casting is now used under license by many companies in the sanitary industry. 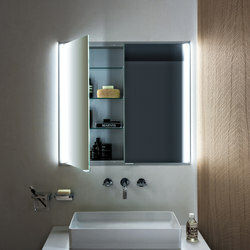 Laufen launched its first complete designer bathroom in the 1990s together with the design company F.A.Porsche. 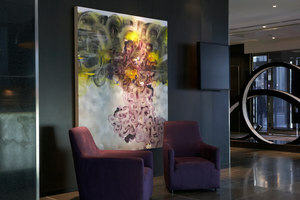 In 2002, the company had a sensational success with the “ILBAGNOALESSI One”, which was produced with the Italian design creator Alessi. 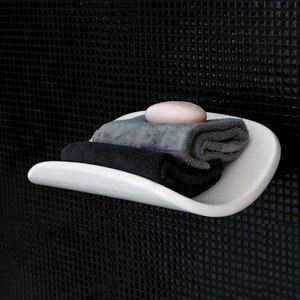 ILBAGNOALESSI has since become a classic in the bathroom and garnered a number of design prizes. 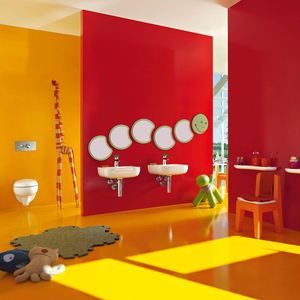 In 2010 Laufen and Alessi successfully expanded the designer bathroom with additional shapes and new furniture. 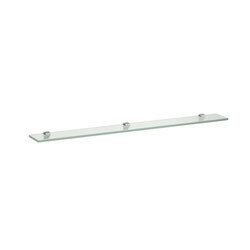 In 2004, Laufen Pro was launched, a range that is above all very successful in the construction segment. One year later, the modular expandable “Palomba Collection” was created in partnership with Ludovica+Roberto Palomba and the Bauhaus-inspired “Form by Laufen” series joined Laufen’s portfolio. 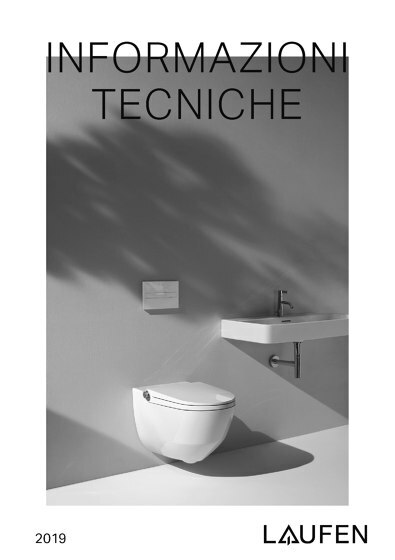 With the launch of the architecturally-driven “ILBAGNOALESSI dOt” in 2007, the compact design bathroom “mimo” in 2008 and “Lb3” the customisable bathroom concept in 2009, Laufen has set the course for the future as a supplier of high-quality designer solutions for the bathroom. 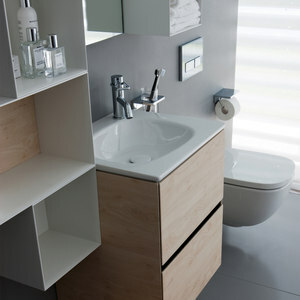 In 2010 Laufen presented “Modernaplus” a careful re-design of the successful Swiss “Moderna” range. It upgraded the classic bathroom to include bathroom furniture, faucets and ceramic shelves to become a timelessly appealing full range. 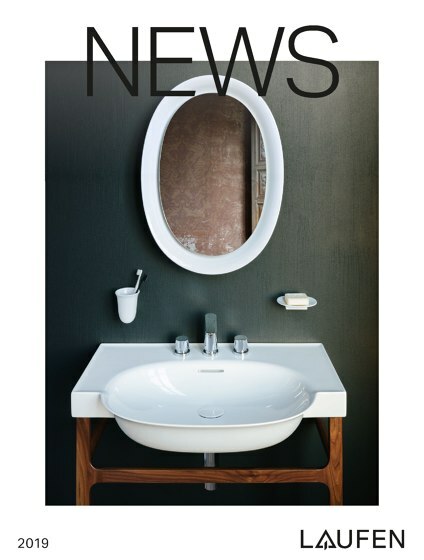 In 2011 Laufen re-launched Palace, the classic washbasin, as a complete range and the new Living Square washbasin range - both offering washbasins that can be cut to size. 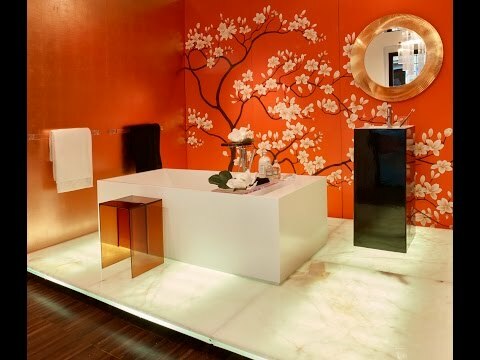 As a result, Laufen extended its range for private bathrooms in the mid-range price segment, as well as for hotels and customised architectural backdrops. Laufen now offers bathroom furniture for all its ranges and therefore fulfils its claim to be a one-stop supplier of bathrooms. 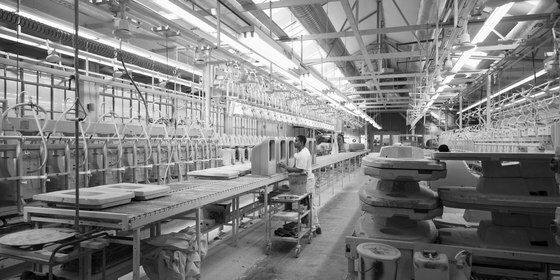 Laufen’s expertise in producing ceramics originally lay at the company’s core. 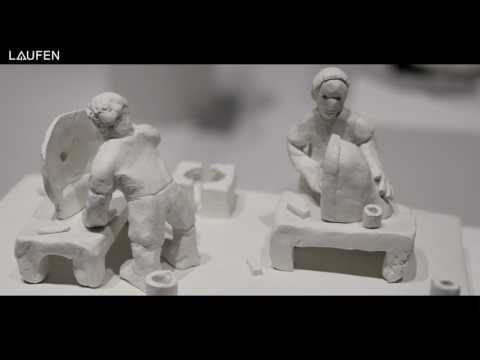 For more than 120 years in Laufen in the Swiss Canton of Basle-Land, the oldest material known to man that can be sculpted has been made into washbasins, bidets and toilets – in high-tech facilities and with Swiss precision. 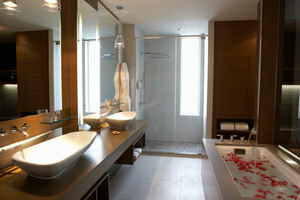 The expertise for the complete bathroom evolved from the company’s skills with ceramics. 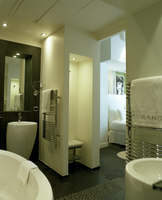 Laufen believes the bathroom to be a place of relaxation in homes and furnishes it to a high level of design. 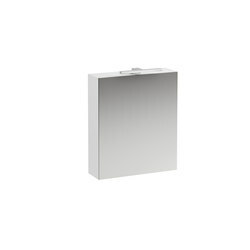 The Laufen Group’s definition of bathroom expertise is divided into two parts, comprising manufacturing skills and functionality combined with the high level of utilitarian value that the finished bathroom conveys to the customer. 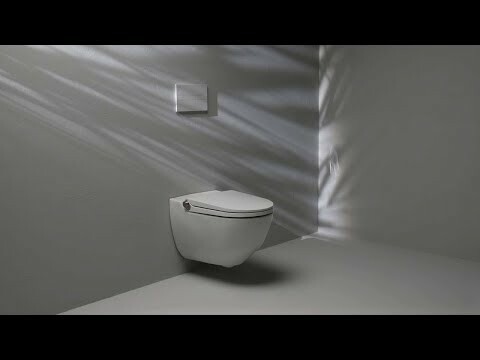 The first aspect is a must and the second is part and parcel of the international bathroom market. Laufen’s self-contained bathroom concepts are created in partnership with well-known designers and architects: for example Stefano Giovannoni (ILBAGNOALESSI One), Ludovica+Roberto Palomba, Wiel Arets (ILBAGNOALESSI dOt), Hartmut Esslinger (Frog Design), Phoenix Design (Stuttgart), Process Design (Lucerne), Andreas Dimitriadis (Platinum Design) and others. 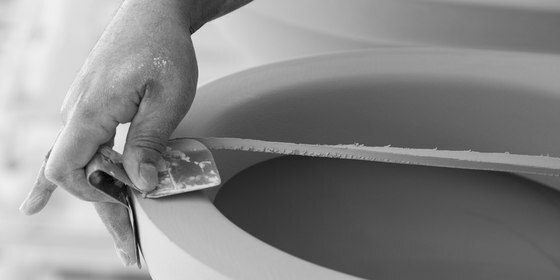 A particular speciality of Laufen’s is to push ceramics to the limits and to transform it into technically sophisticated designs. 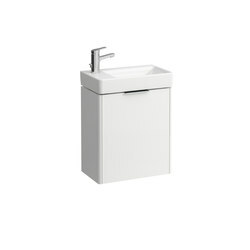 Examples include the ceramic floor-standing wash basin TamTam from the “ILBAGNOALESSI One” series, with the particularly flat and angular, 160 centimetre long 01 wash basin from the “Palomba Collection” or with the up to 180 centimetre long washbasins from the Palace and Living Square Collections which can be cut to size ex works and fit into alcoves. In order to stretch the borders of traditional ceramics in terms of design, Laufen has spent many years researching a new type of ceramics that allows much thinner walls and defined edges and consequently a new design language. 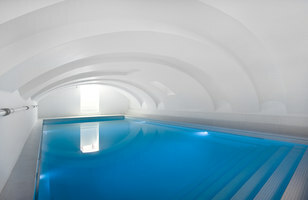 Laufen produces products that use such a valuable resource as water. As a result the company feels it has a duty to protect the environment – because climate change, the hole in the ozone layer, water pollution and other man-made environmental problems concern everyone. 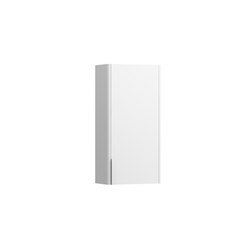 Therefore, Laufen places emphasis on green production methods and uses energy and feedstock efficiently at every level – from development to marketing. Therefore the company for example uses the heat produced during the production process and transforms it into electricity. 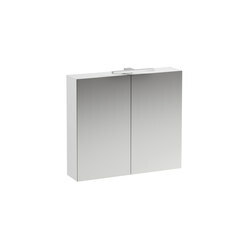 Laufen is actively seeking eco-friendly solutions for many products – the high gloss surface of the furniture range of the mimo bathroom series is produced using recycled materials. 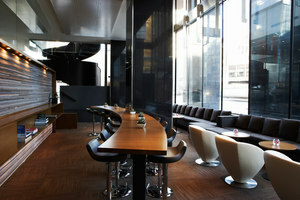 But it is also important for the company to produce products of the highest quality. 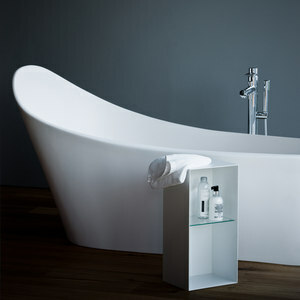 The Swiss Q-Plus-Signet certifies that Laufen products comply with European standards and the higher Swiss Standard. An important point for Laufen because only durable and robust products deserve to be called environmentally-friendly – avoiding is better than recycling waste. 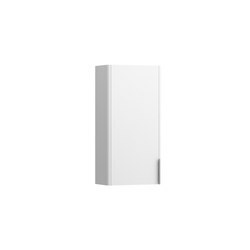 Therefore, Laufen is also helping its customers to live in a more environmentally friendly manner and to cut energy costs. 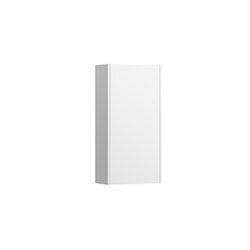 The bathroom specialist’s products are also equipped with cutting-edge energy- and water-saving technologies. 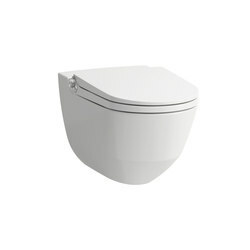 For example the water-saving faucets with Ecototal cartridge, or the latest generation of water-saving WCs: numerous Laufen toilets flush with 4.5 or 3 litres in the dual volume flush system instead of the 6 or 3 litres that normal toilets require. The market for sanitary products is one of the most sophisticated in the world – because elegant design, advanced technology, high quality and good service are highly valued. 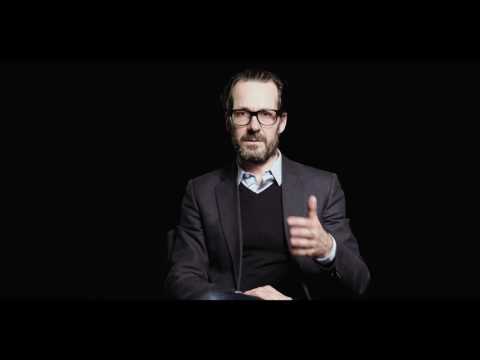 This is an environment in which Laufen feels comfortable and to which the company has made its own contribution for decades. 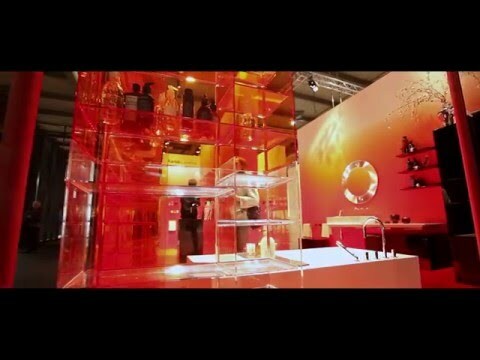 To be able to offer the highest quality of service and products everywhere and at all times, Laufen takes part in numerous regional and international trade fairs and adapts its solutions to the cultural requirements of the customer. 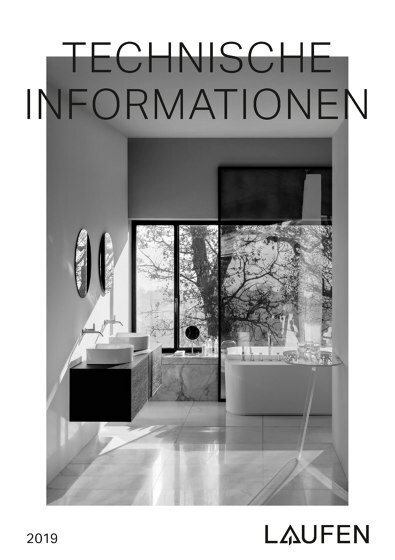 Internationally Laufen also focuses on architecture. By taking part in and supporting numerous architecture events and platforms, such as the World Architecture Forum (WAF), the Sleep Event or Leaf International, Laufen showcases its expertise on the international stage of architects and planners. 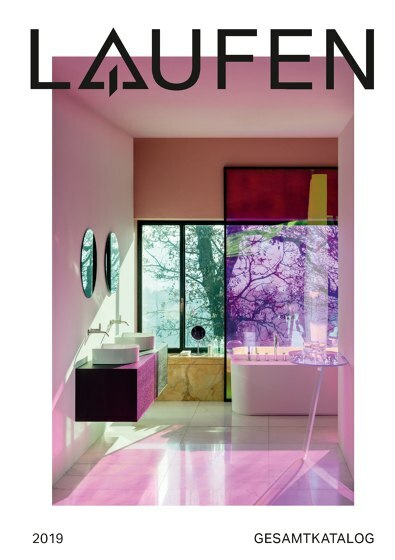 Furthermore, Laufen also supports renowned architecture competitions, such as the AR House Awards, the Emirates Glass LEAF Awards, or the Commercial Interior Design Awards. 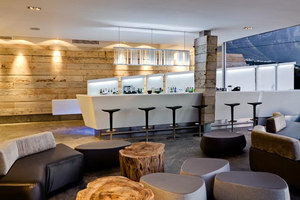 It also hosts its own events, such as the Laufen Day, or the Laufen Architects Days at the company's headquarters in Laufen that hundreds of guests come to each year. 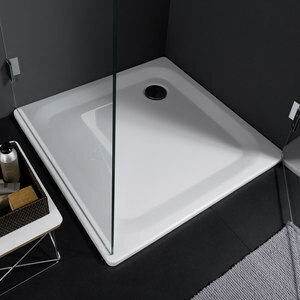 The company displays its high-quality bathroom solutions in numerous local showrooms so that end customers, architects and bathroom professionals all over the world can judge the appeal, quality and functionality of the products for themselves. 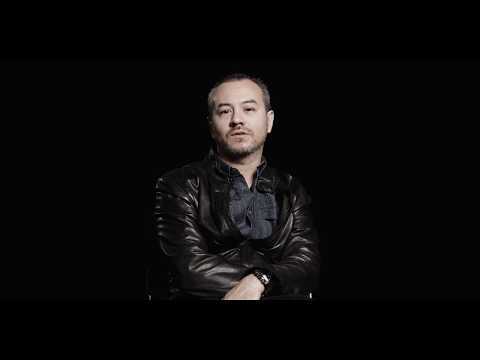 A long-standing cultural sponsor, premium Swiss bathroom manufacturer LAUFEN sees its contribution to the wider creative field as just another part of its commitment to collaboration and innovation.